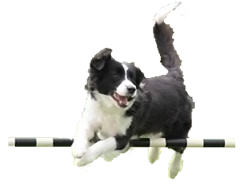 Border Collies are basically a fairly healthy breed but there are some genetic diseases that breeders are trying to steer clear of such as Hip Dysplasia (HD), Storage Disease (Neuronal Ceroid Lipofuscinosis - NCL), Collie Eye Anomoly (CEA), Osteochondritis dissecans (OCD) and Trapped Neutrophil Syndrome (TNS). Information on these diseases is detailed on the Border Collie Club of Victoria Website. 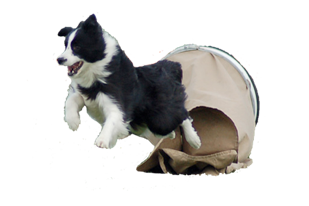 The breed standard and a lot of general information is also contained at this site. All of the pups bred by Yeoville are from dogs that have their hips and elbows radiographed prior to breeding, are DNA tested for hereditary diseases (where tests are available), and are opthalmologically examined at regular intervals. 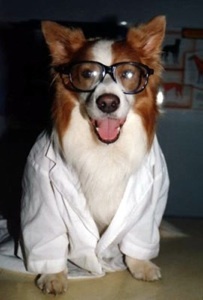 All dogs bred from must meet the appropriate health requirements for the breed. Temperament is also considered very important at Yeoville, whereby we strive to breed from dogs of sound working temperament, confidence and sociability.